is an application, which functions to search name and planting method, upload images of your grown plants on its timeline, create album and others. 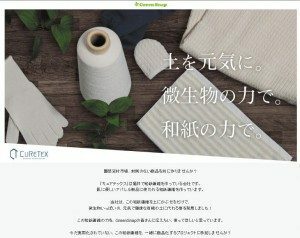 We opended Curetex environment development business division community page on corporate community page inside of application. we plan to conduct various monitoring utilizing the community with a view to development of product rebranding and release campaign in the future in the future under the theme of “Cure Sheet × Microorganisms”.